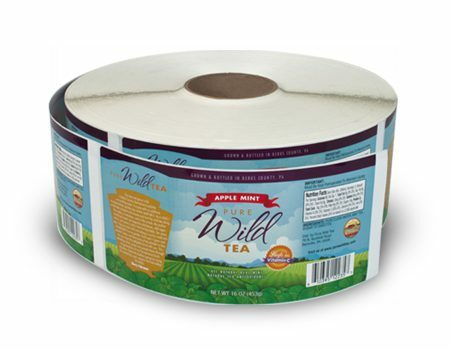 Vibrant and picturesque, the Pure Wild Tea bottle label is a genuine eye-catcher. It is also an excellent example of our professional 4-color label printing capabilities. If you package foods, you understand the importance of properly labeling your product. 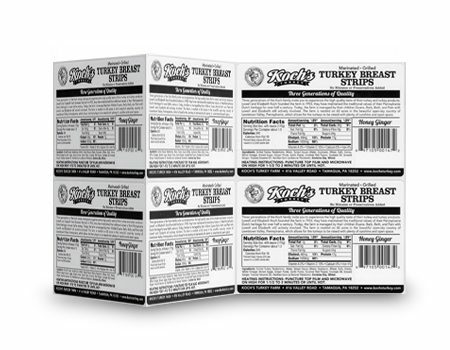 Like this Koch’s Turkey Strips label, our 1-color labels are economical and ideal for ensuring all your pertinent information is where it needs to be. 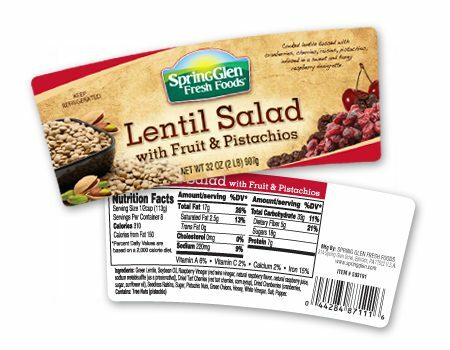 Spring Glen Fresh Foods packaging consists of two labels on a plastic tub, giving them twice the visual impact on shelf. And once again, our expert 4-color printing yields graphics that are appetizing and color accurate, both important for the marketing of fresh food products. Changes and mistakes happen in the packaging industry. But don't worry! We have you covered. 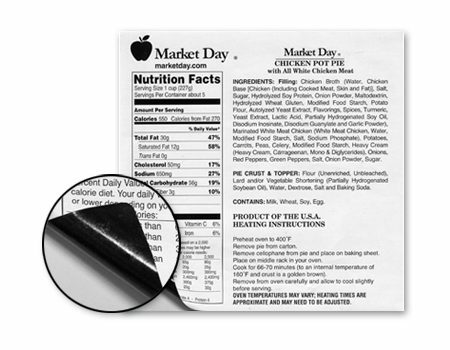 Our special label substrate featuring an opaque black backing eliminates show-through, allowing for a quick and discrete fix or update to an existing package. Get the most out of less. 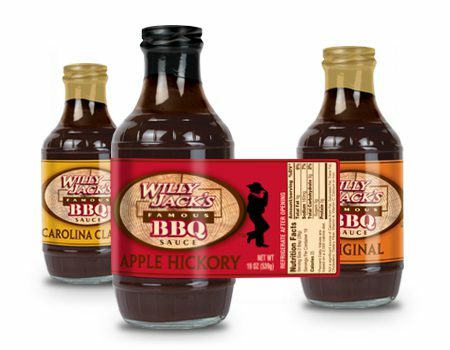 This Willy Jack's Famous BBQ Sauce bottle label is full of rustic character and is only three colors, making it a great example of how our quality printing and labeling can give you professional, cost-effective results on any budget.